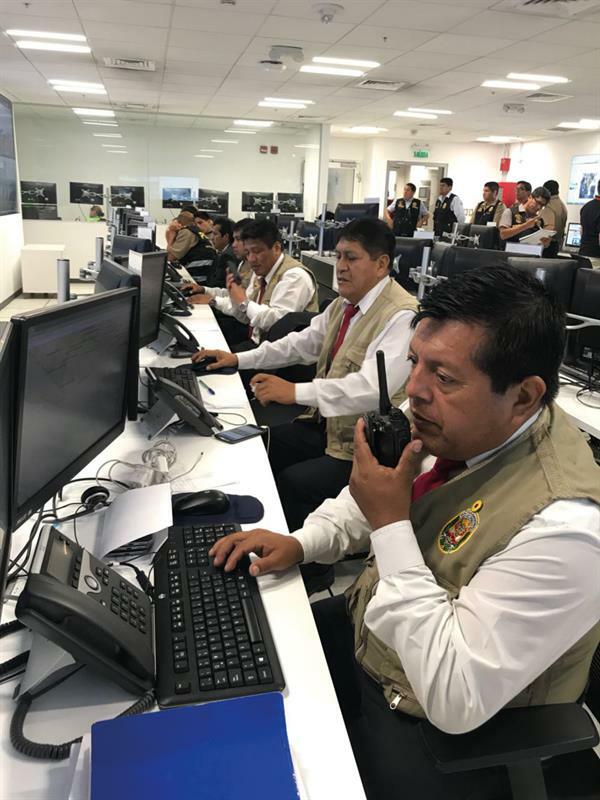 For the very first time in Peru, Hytera Mobilfunk GmbH Sucursal del Perú implemented a unified communication solution for critical voice and broadband data services for some Peruvian first responder organisations. The solution included TETRA and DMR equipment, the Hytera Multi-mode Advanced Radio PTC760, and value-add broadband applications, which were installed in the Integrated Command and Control Center (C4i) and in operation during the visit. Pope Francis visited the cities of Lima, Puerto Maldonado and Trujillo. To improve situational awareness, the PTC760 terminals deployed during the visit were able to quickly and effectively stream video from the field and combined narrowband mission critical communications with LTE broadband’s data throughput. “Hytera’s PMR-LTE radios are a revolution in the world of professional mobile radio communications. They allow their users to operate highly effectively with instant feedback and informed decision making – this fits perfectly with the requirements of such an event like the pope’s visit”, says Frank Pauer, deputy CSO at Hytera Mobilfunk GmbH. Furthermore, the visit of Pope Francis was a clear example of how TETRA is being used for enhanced communication at mega events. 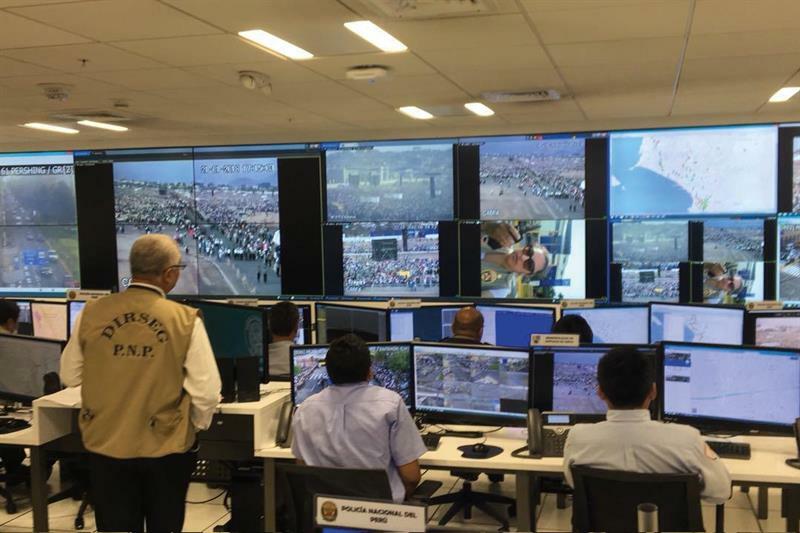 More than 1.3 million people flocked to the Peruvian airbase of Las Palmas, in Lima, to attend the final mass held by Pope Francis, and the Hytera TETRA system built and operated by the Peruvian National Police was used by more than 8,000 users to ensure seamless communications between all the public safety organisations. In addition, another TETRA network created especially for the event by a Peruvian mission critical operator was equipped with more than 200 PT580H Plus TETRA portables to provide seamless communication to the volunteers in charge to internal security in the final mass hosted in Las Palmas Airbase. “We are proud to have supported the biggest event organised in Peru. Securing narrowband voice communications with TETRA and DMR technologies and deploying our innovative LTE convergence solution to secure the more than 1.3 million attendees for the mass in a small area was a big challenge and success for our team,” says Luis Perez, head of Hytera Perú. Whether it’s machine-to-machine (M2M) or Internet of Things (IoT) data sharing of images and streaming video from the field, or even interrogating databases and roaming between sites, the Hytera multi-mode handset offers advanced functionality and flexible communications. Converging on one device means staff does not have to carry two separate handsets to access the best in voice and data technology. Data Acquisition – Detect the surrounding environment, provide alerts and acquire data in real time, communicating continuously with back-end systems for informed decision making. Secure Supervision – Maximise the encryption services and control system to push secure data for evidence capture and critical information sharing. Flexible Applications – Applications and third-party APIs can provide flexible tools and gateways to make the most of the LTE data services. Seamless Communications – Seamlessly switching between networks, use public or private LTE networks to afford additional communication flexibility outside of your PMR network. Wireless Support – Conduct batch programming, upgrades, permission control and data backup over LTE with the Hytera Smart MDM software. Versatile Voice Calls – Make the right call - use public or private LTE networks for voice communications. Hytera Mobilfunk GmbH is part of Hytera Communications Co. Ltd and is one of the world’s leading manufacturers of high-quality TETRA, DMR, LTE and analogue radio systems and terminals. Hytera Communications Co. Ltd. has a worldwide network of 60 subsidiaries and branch offices on all continents and employs more than 7,000 staff. Hytera Mobilfunk GmbH in Germany has been shaping the future of professional mobile radio and implementing customised solutions for more than 35 years.